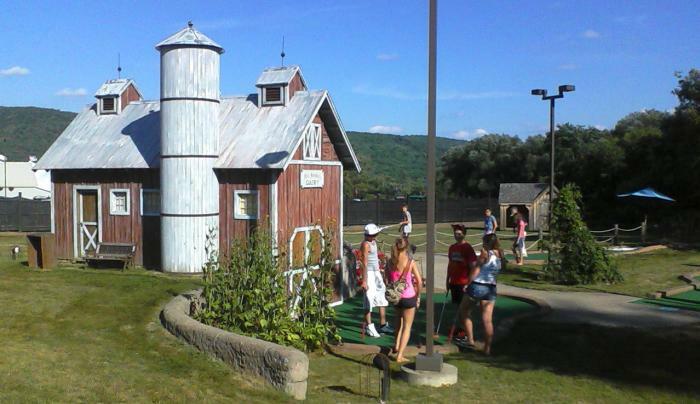 Housed in and around a historic mid-1800's barn, the Barnyard Swing 18-hole outdoor miniature golf course and Family Fun Center offers premiere old-fashion family (and group) fun for all ages. 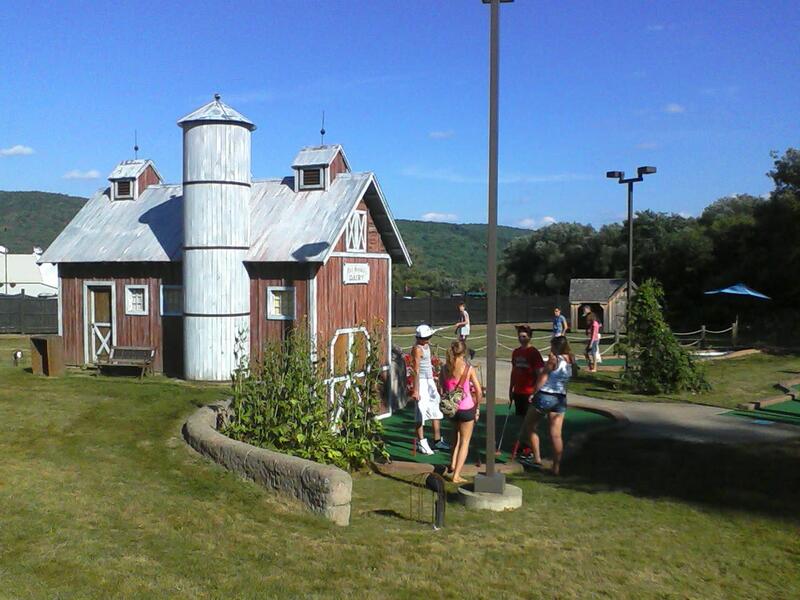 In addition to our outdoor miniature golf, we offer Wild-West indoor/outdoor laser tag fun for the whole family! Round out the experience at our Sassy-cow soft-serve Ice Cream Parlor. Our country-style gift shop, hand-stamped jewelry counter, paint-your-own pottery studio and game room with pool table and air hockey add to the fun!